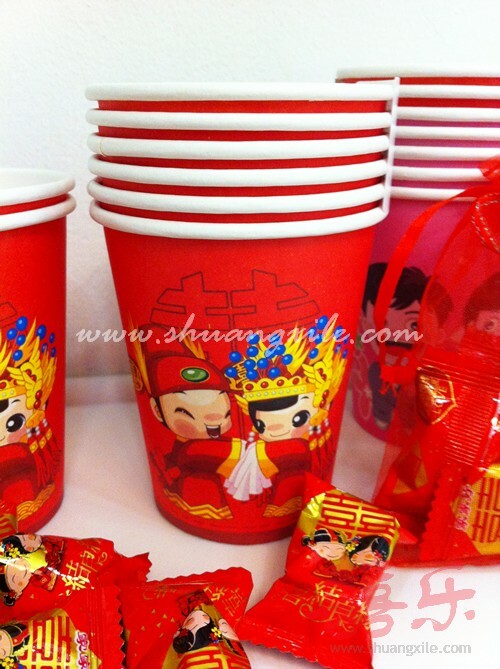 Paper cup that can be used to serve your guest on the wedding day with special touch, a memorable day with special design paper cup adds the happiness & loving atmosphere to the event. It can also be used for tea ceremony which will definately save the effort of washing the cup and serve for hygienic purposes. 50pcs/pack, item price is for one pack.